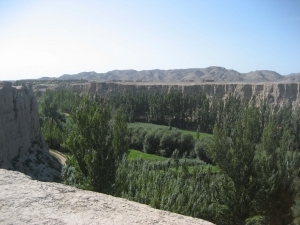 Urumqi, a city in the far northwest of China. 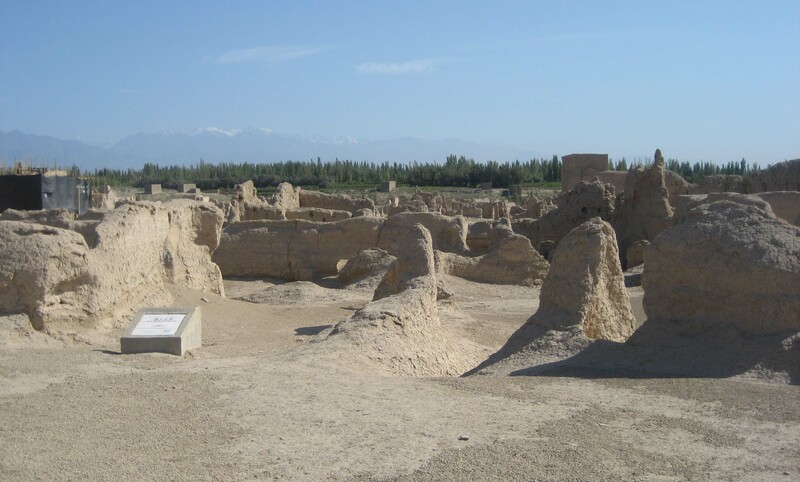 Urumqi, located in the far northwestern corner of China, is China’s largest province (I think) and consists mostly of desert with two mountain ranges and a green basin in between the mountain ranges. 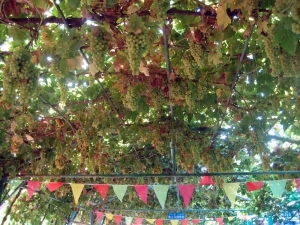 It is renowned for its grapes, raisins, and melons – said to be the sweetest in China, if not the world. 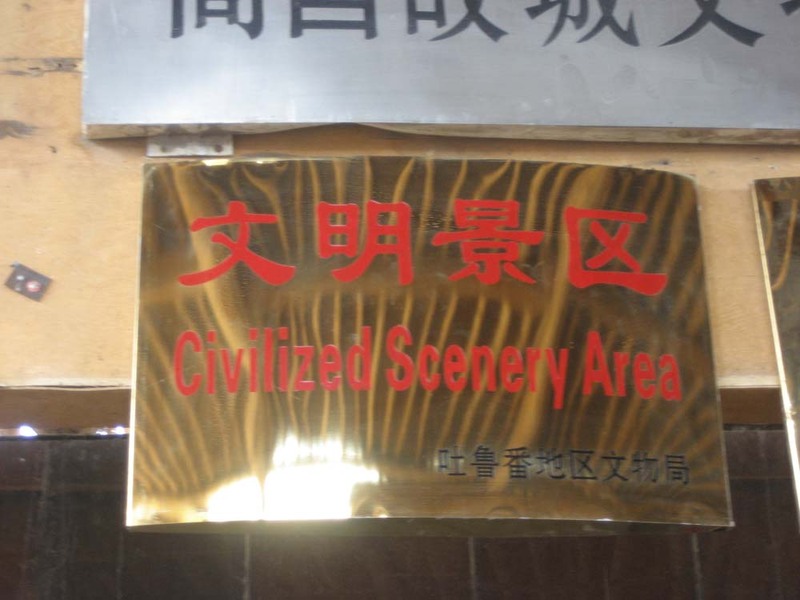 "Civilized Scenery Area". A lot of signs in China, er, lose something in translation. 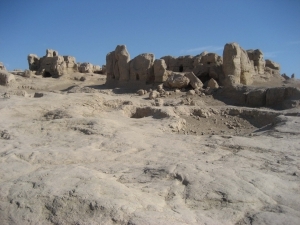 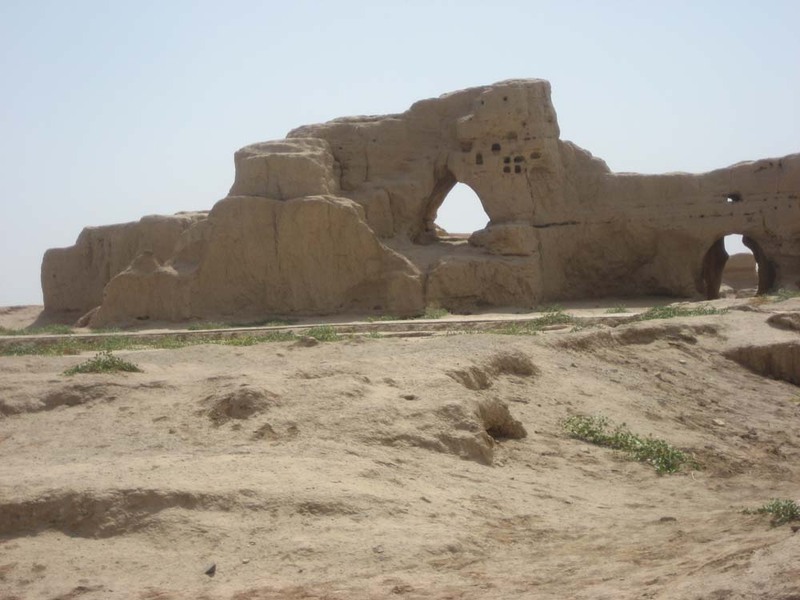 The Gaochang ruins, which are considerably more extensive but not as well-preserved as Jiaohe's ruins. 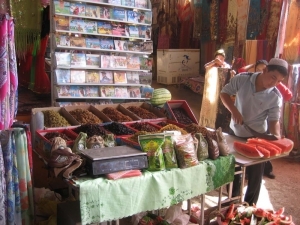 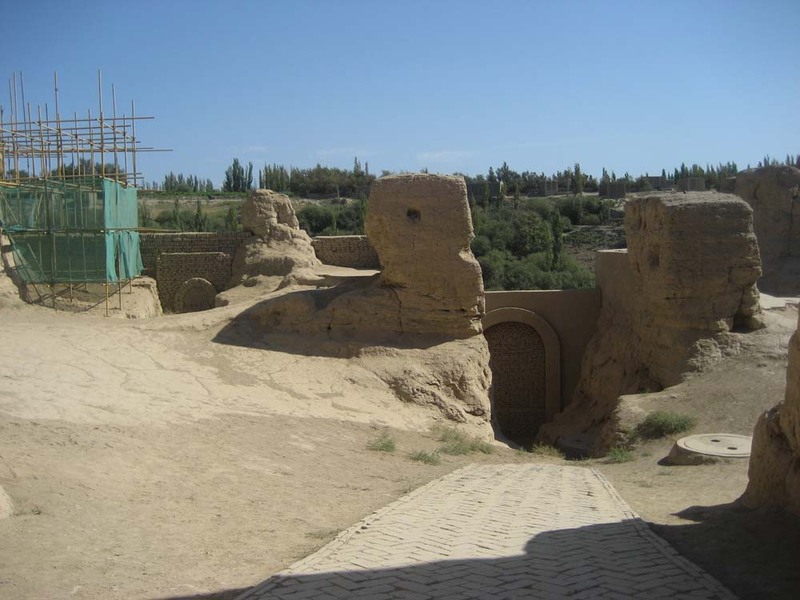 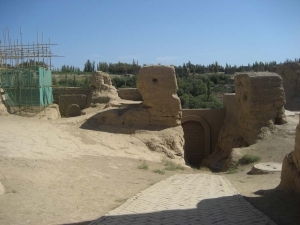 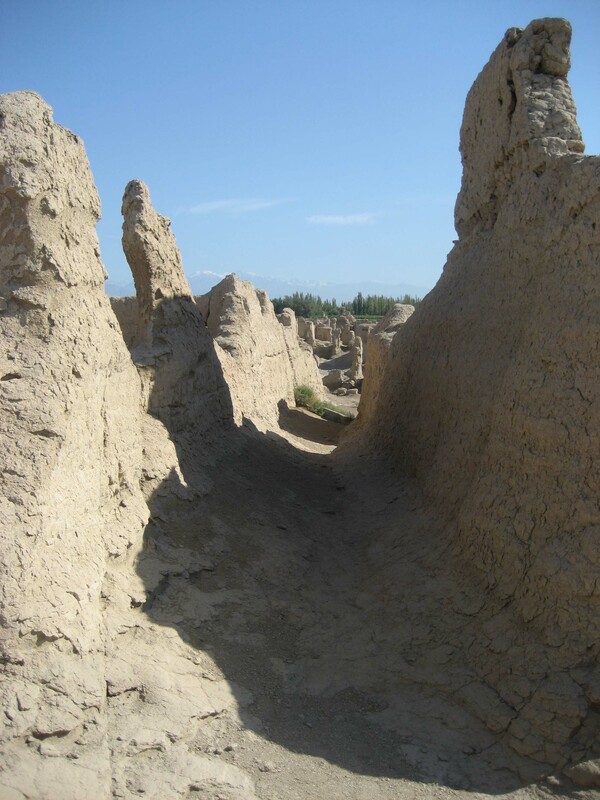 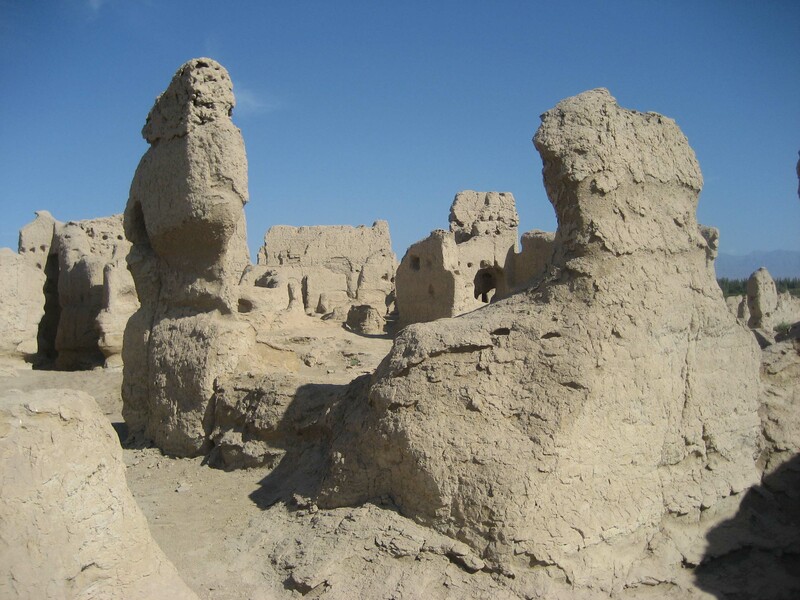 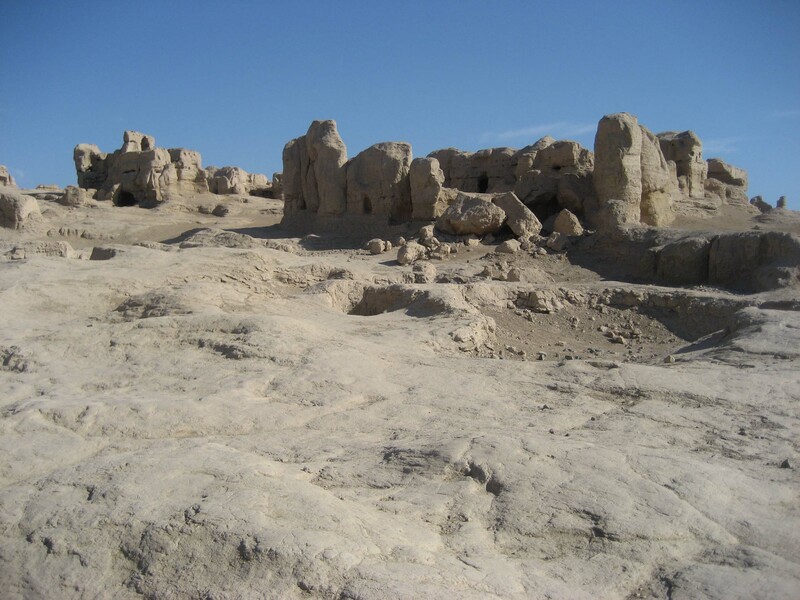 The Turpan area, which is an irrigated desert, is renowned for its grapes, melons, and raisins. 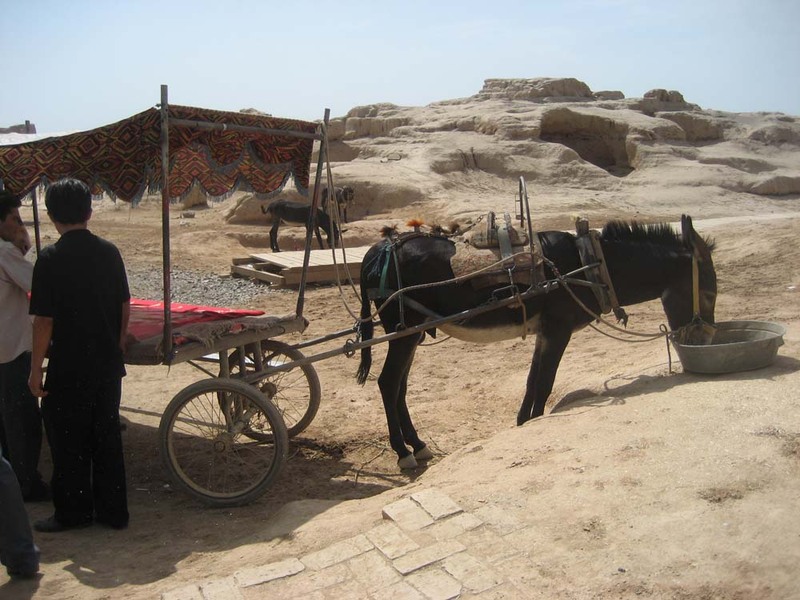 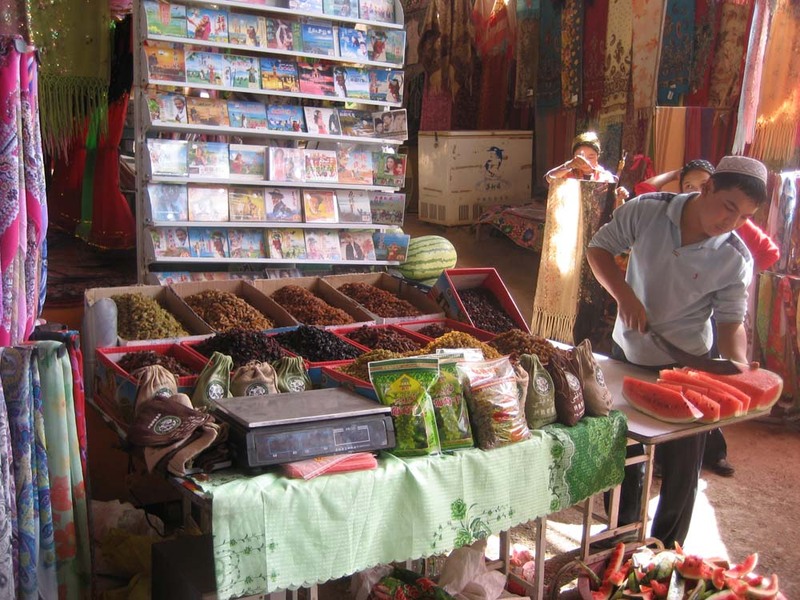 Here a man sells raisins at the Jiaohe ruins. 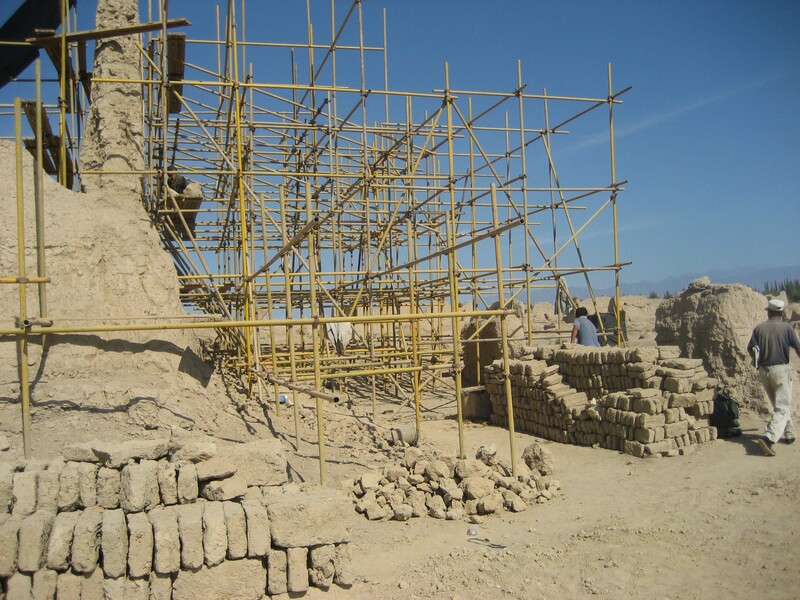 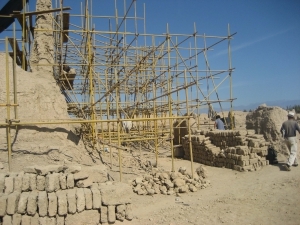 Restoration work at Jiaohe, which is an UNESCO site. 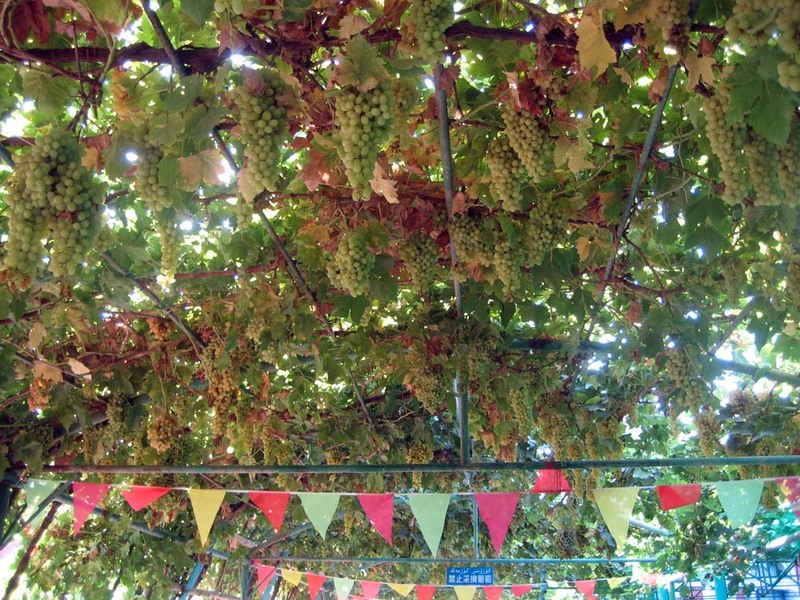 The area's renowned grapes, dripping from an arbor at the karez museum (in the Turpan area). On our evening in Turpan, we were served an Uigur (pronounced WAY-gur) feast, including a whole roasted lamb. 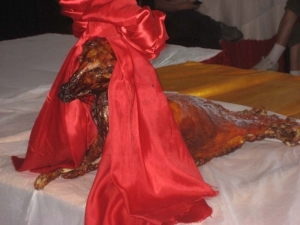 It arrived complete with head, which I found rather grisly. Uigur dance troupe. 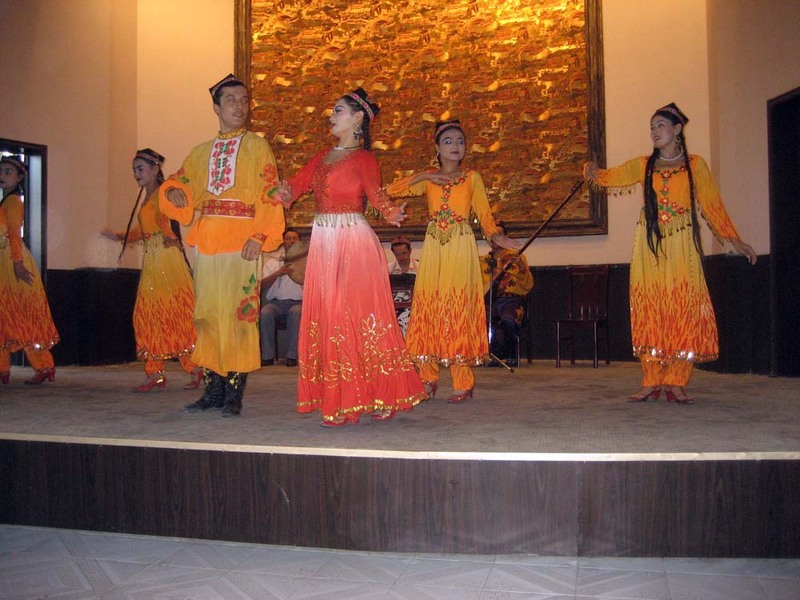 One of the dancers did an entire dance with a stack of bowls on her head! 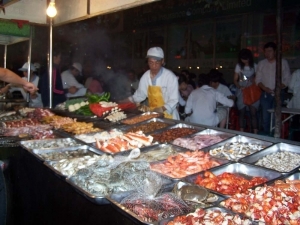 Food stall in the Urumqi night market. 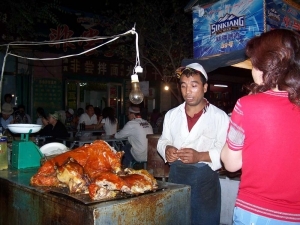 Another whole roasted lamb in the Urumqi night market. 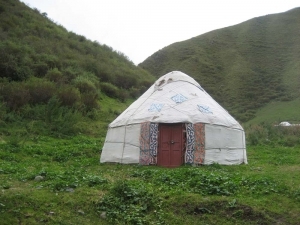 A yurt! 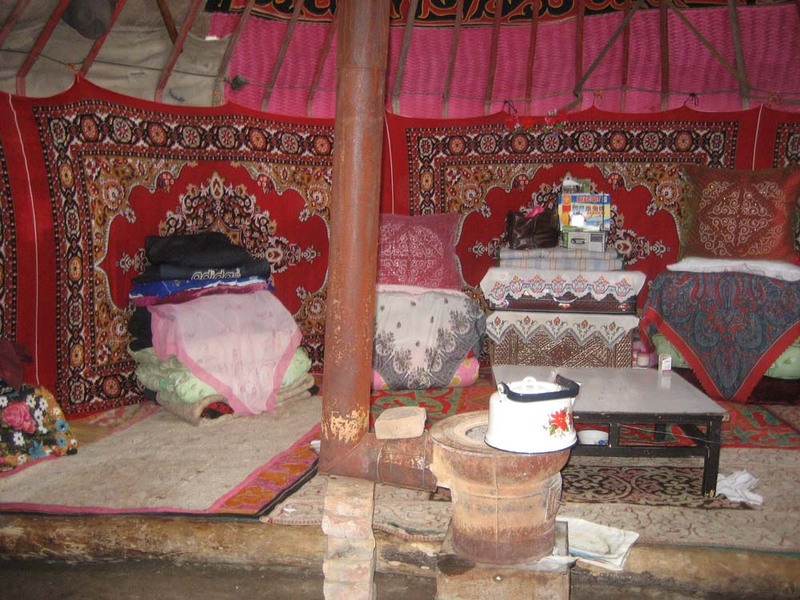 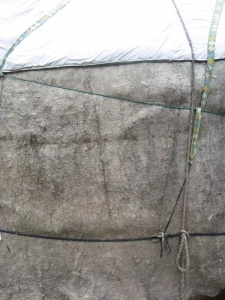 A real live yurt! The outer wall of the yurt. 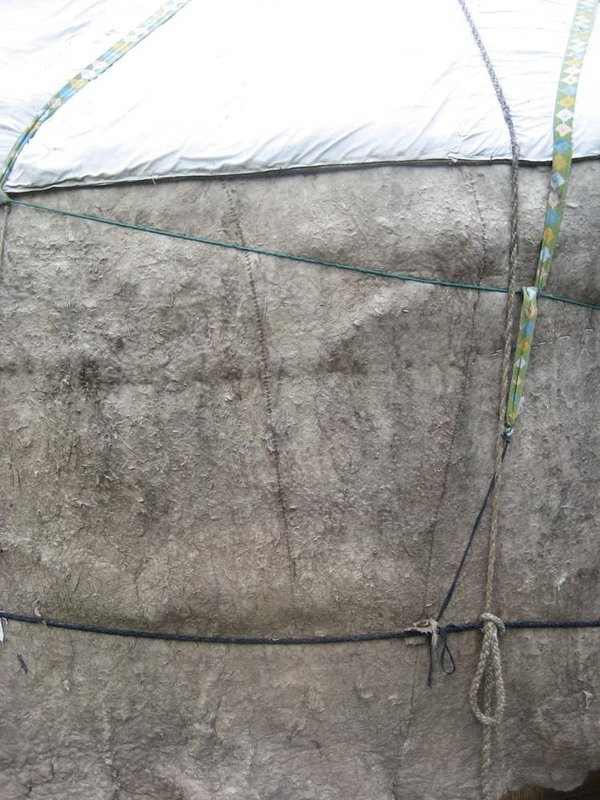 Closer examination reveals it to be sheep's wool felted together into large sheets and then sewn together.